Taren Stevens has seen the movie and played the game, and can unequivocally confirm that one is better than the other. Taren is a Gameplanet contributor. She lives in Wellington. 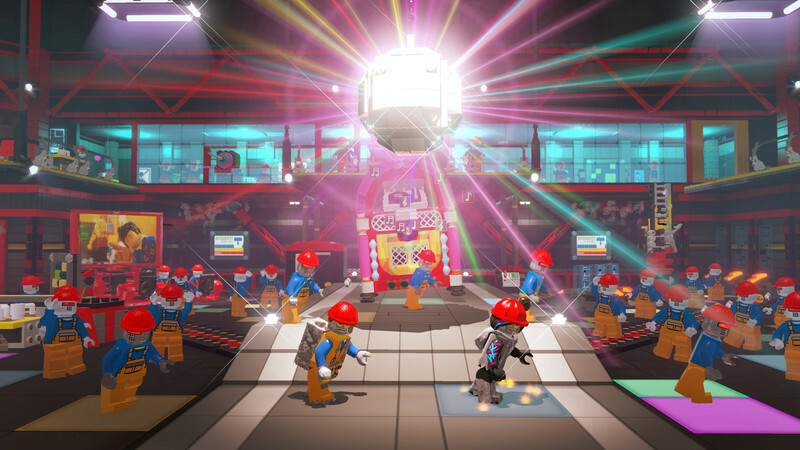 The Lego Movie Videogame is a kaleidoscopic sugar rush to sate the appetites of players of all ages who absolutely love the film and want to experience everything all over again in typical Lego game fashion. The story follows Emmet, a construction yard worker bee in the Lego Universe who lives life as per the instructions. Endlessly chipper though desperately lonely, he is chosen by fate to lead a Lego resistance against uniformity with the help of the Master Builders, those who thrive on not building to the instructions. 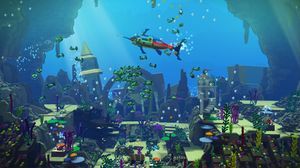 Despite having a clever and original film from which to draw creative inspiration, Traveller’s Tales has strictly built from instructions in their latest offering to the Lego Games franchise. 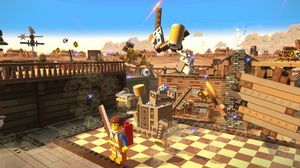 The Lego Movie Videogame is an uninspired total retread of the film, heavy with unlockables and padded with puzzles, platforming, and prompts. 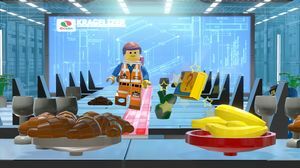 The Lego Movie obviously didn’t need to undergo the full Lego treatment seen in previous instalments and unfortunately some of that odd charm was lost in the creation of this game. 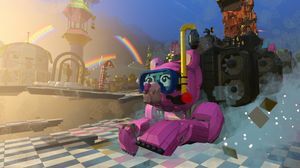 Cut-scenes would usually consist of the characters performing almost silent, twee pantomime of the game’s rich source material, but The Lego Movie has a whole film from which to cherry pick the best scenes to drive the gameplay forward. If players haven’t seen the film, the whole game is a giant spoiler. There is also the original voice casting peppering the gameplay, something that isn’t often heard in a Lego game. Gags from the film are also often reused, further adding to the overwhelming sense of déjà vu. But all is not lost. 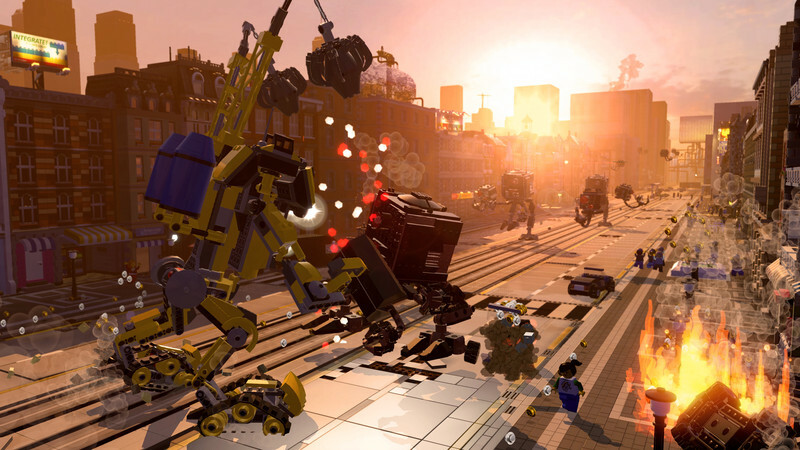 The Lego Movie Videogame is still satisfying to play, though overly familiar. Players still need to swap between characters regularly to access locations and abilities. Golden bricks are still waiting to be found, there are structures to be built when prompted, and enemies and scenery to smash to smithereens. Local multiplayer makes sharing the responsibilities of unearthing hidden collectables and pathways to progress the story less tedious and encourages less frequent character swapping. Players left behind by the far more agile female characters can get bored pounding wave after wave of enemies while a path is cleared for the dudes, especially in earlier levels where there are less characters to unlock. Regardless of whether the gameplay is a repetitive slog, the locales in which Emmet and friends are chased through are itching to be explored and that is not something that can be done in film. Princess Unikitty’s Cloud Cuckoo Land is a goth nightmare of rainbows and cuteness and pretty, and stands out as one of the more interesting levels in which to lollop around in. Interrupting the usual gameplay in the series are a few odd minigames designed to emphasise the rich heritage of Lego. Emmet can sometimes build from instruction books found in levels to help clear paths, but the only input the player has in constructing these is to pick the correct missing piece from a bunch of obviously ill-fitting pieces. There is some variety in these minigames and they will delight and surprise the player for a brief moment, but then be swallowed up again by the uniformity of the rest of the game. 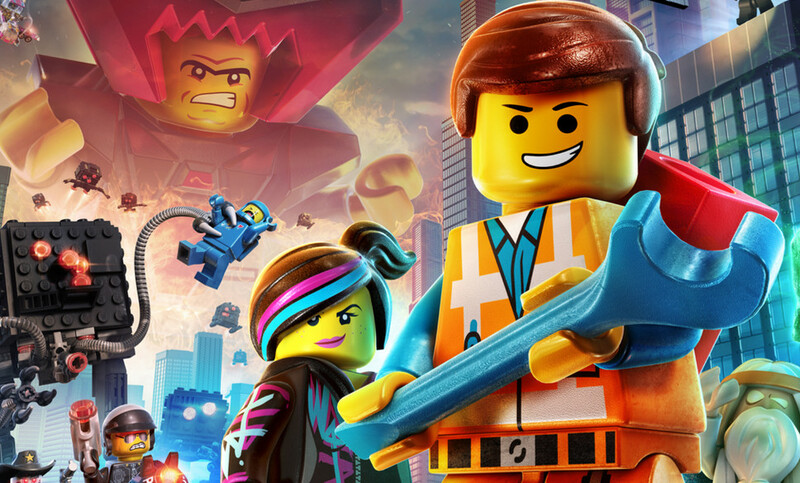 If the Lego Movie rails against the establishment, encourages creativity and disrupting the status quo, the The Lego Movie Videogame is just the opposite. Traveller's Tales is content to trace over its previous work rather than push for something more. Ups A few surprises in each level. Some truly original locales to explore. The recycled jokes are luckily still funny, sometimes. Douchebag Batman. Downs Uninspired and repetitive gameplay despite an awesome, awesome film. More recycled gags than original. Feels more geared towards a juvenile audience despite how many of the jokes would sail over their heads.